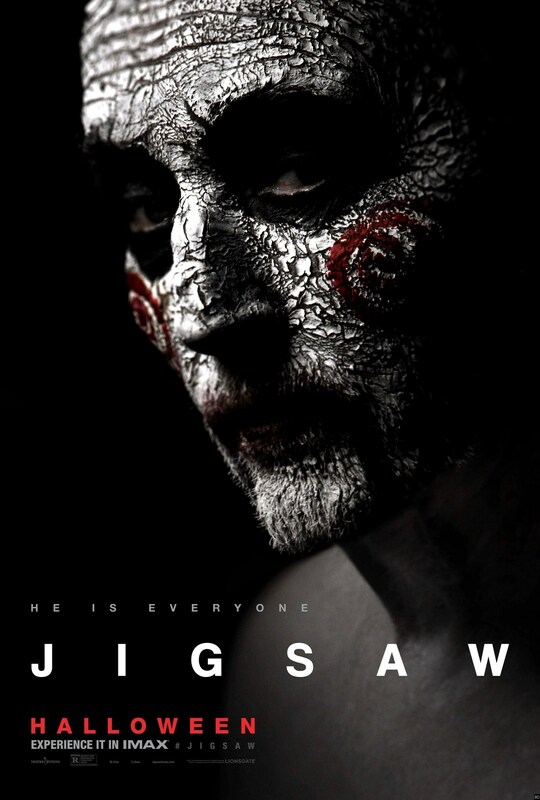 Lionsgate has released even more posters for the upcoming "JIGSAW", the eighth film in the "SAW" horror franchise featuring the return of Tobin Bell. Like all of the films before it, Jigsaw will arrive just ahead of Halloween on October 27. 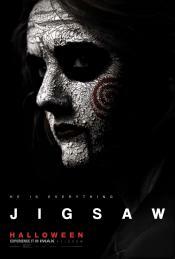 The upcoming sequel, which fittingly comes seven years after "SAW: THE FINAL CHAPTER", will star Laura Vandervoort ("SUPERGIRL"), Hannah Emily Anderson, Brittany Allen, Clé Bennett ("ARROW"), Callum Keith Rennie ("WARCRAFT", "BATTLESTAR GALACTICA"), Matt Passmore , Paul Braunstein ("THE THING"), Bonnie Siu ("PACIFIC RIM"), Sonia Dhillon Tully ("BROWN GIRL BEGINS") and Tobin Bell. 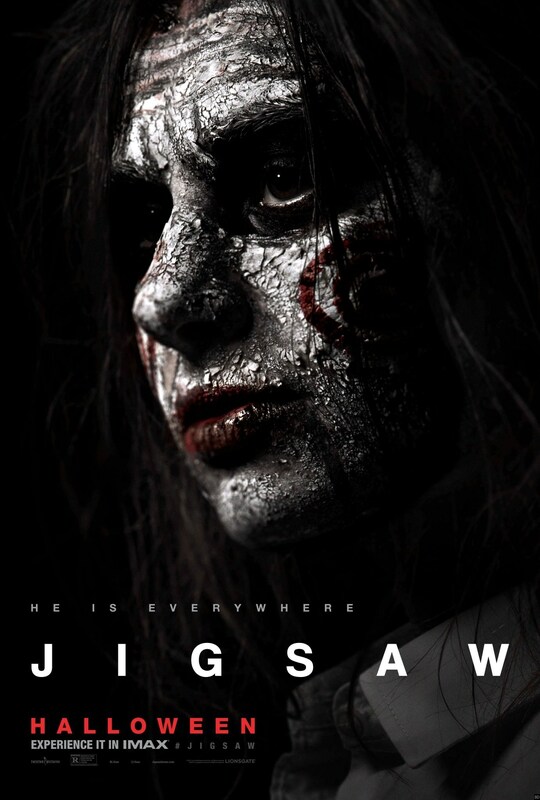 The eighth Saw movie is directed by Michael Spierig and Peter Spierig ("DAYBREAKERS") from a script by Pete Goldfinger and Josh Stolberg ("PIRANHA 3D", "SORORITY ROW") alongside original creators James Wan and Leigh Whannell. 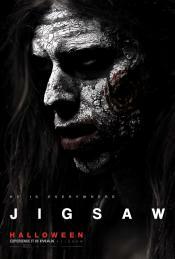 Synopsis : Bodies are turning up around the city, each having met a uniquely gruesome demise. 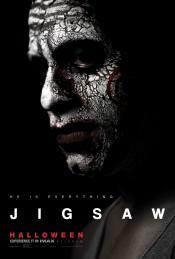 As the investigation proceeds, evidence points to one man: John Kramer. But how can this be? 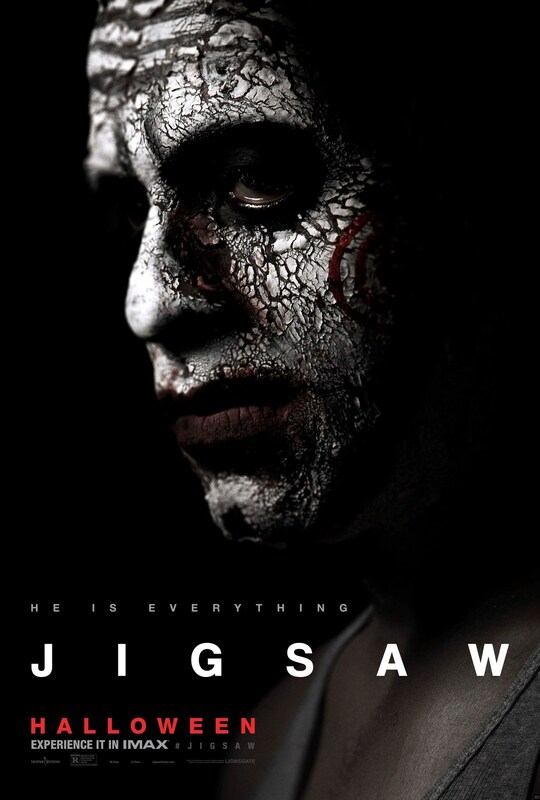 The man known as Jigsaw has been dead for over a decade.